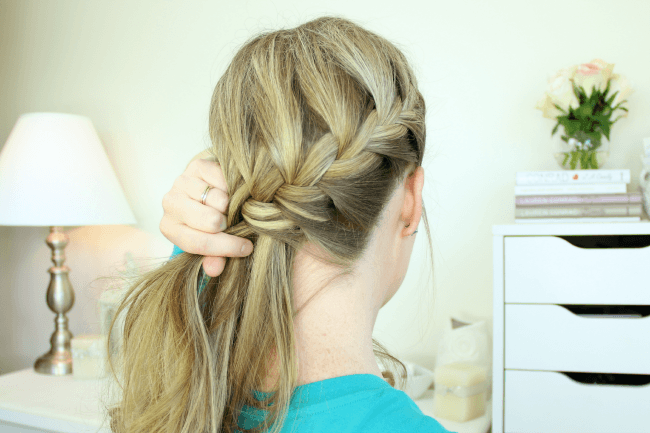 Wrap Around French Side Braid is a combination of a French Braid Headband and Side Swiped French Braid; two french braids that meet at the back to create one seamless hairstyle. 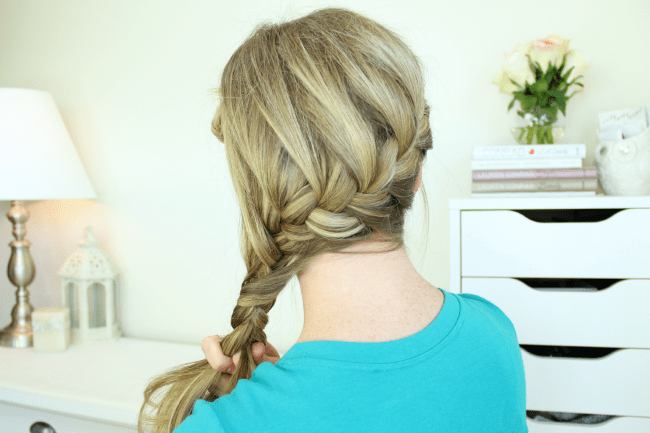 The first braid trails from the right side of the head, across the back of the head and ends in a side braid. 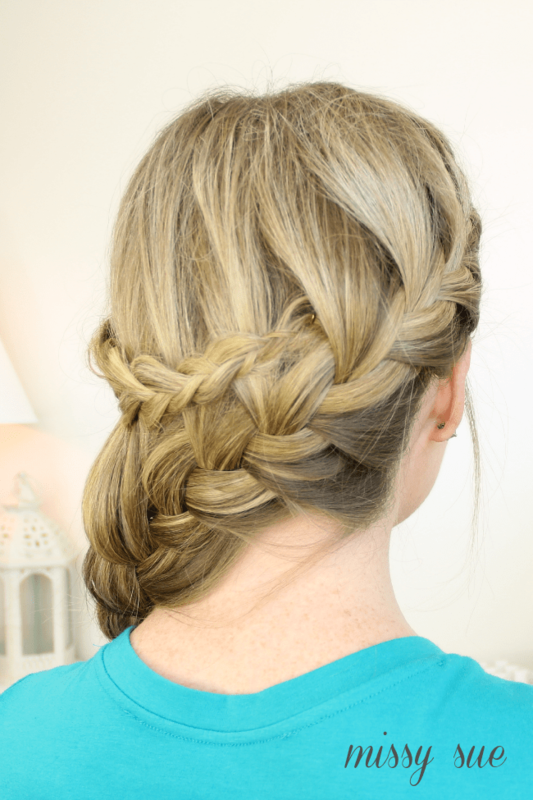 While the other braid, traipsing across the forehead, wraps the opposite way meeting the first braid in the middle. 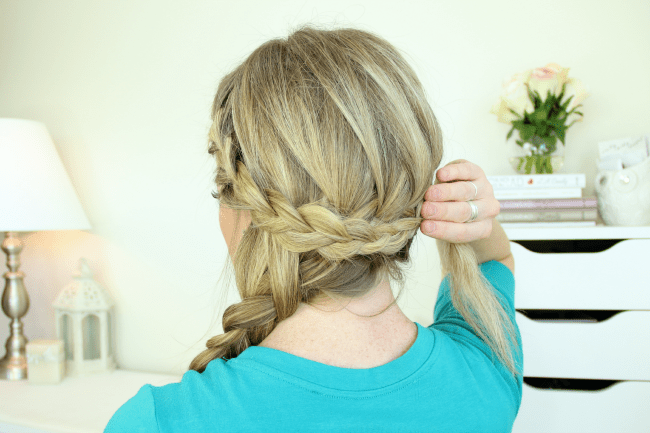 Once you get the hang of French braiding, this hairstyle will be a breeze! Now, let’s get started! 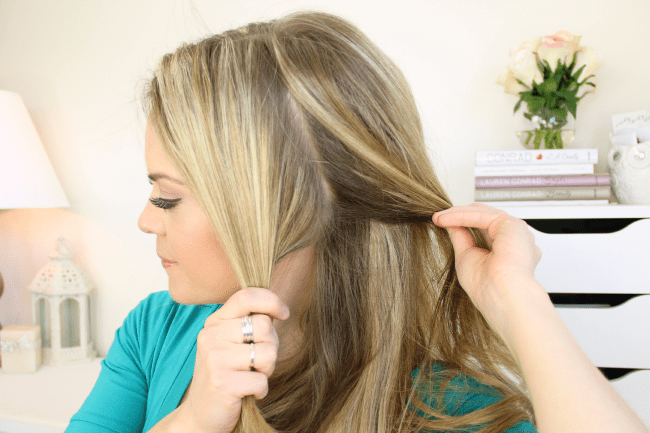 Step 1 / Begin by separating a section of hair from right behind the left ear up to the part. My part is on the right side of the noggin. Step 2 / Twist this front section and pin it out of the way. 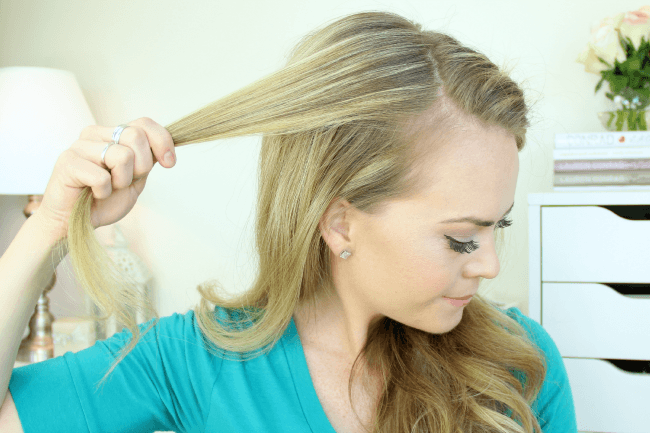 Step 3 / Take a 1″ section of hair on the right side of the part. 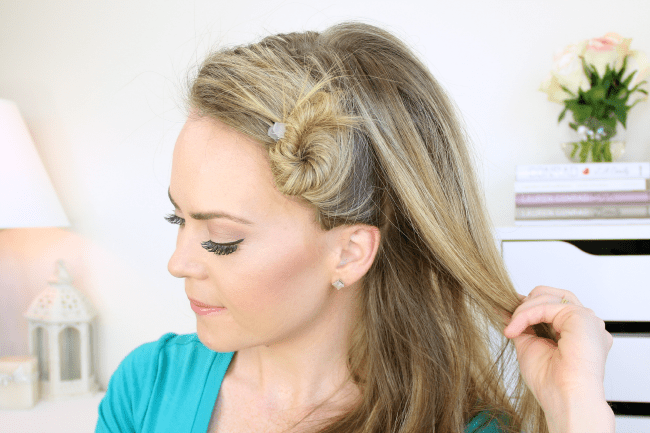 Step 5 / Continue french braiding down the head and around the back. 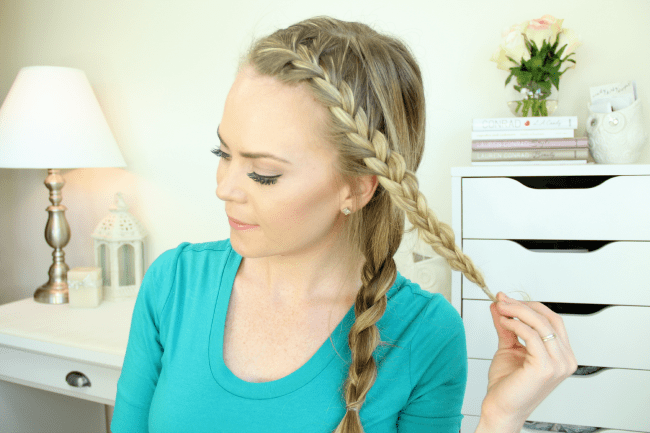 Step 6 / Once the braid reaches the left side, and all the hair is pulled in, finish with a regular side braid. 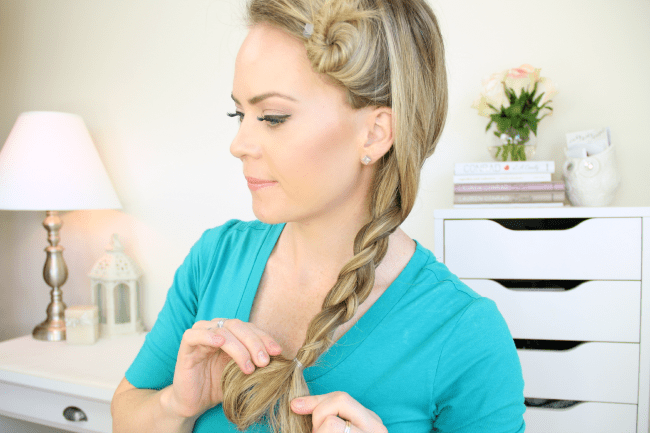 Step 7 / Wrap a clear elastic band around the bottom of the braid to secure it. Step 8 / Let down the front section that was tied off earlier. 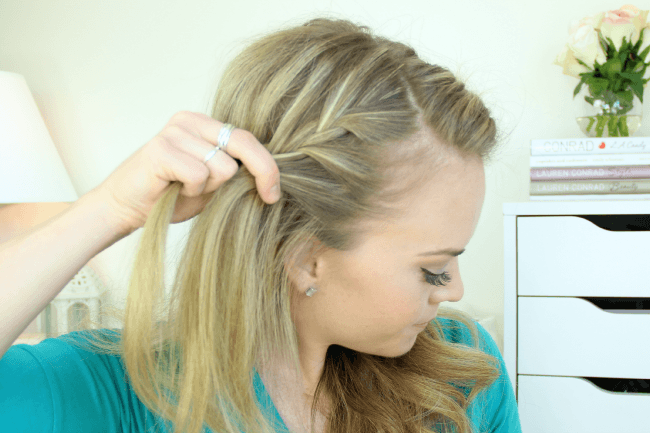 Step 9 / Braid the hair into a french braided headband, finishing with a regular braid, and tying off the end. 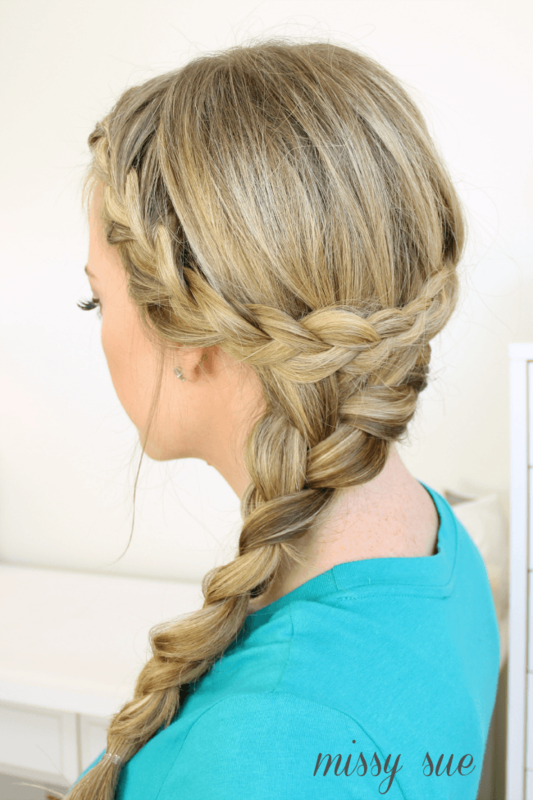 Step 10 / Wrap the braid around the back of the head so it sits just above the first french braid. 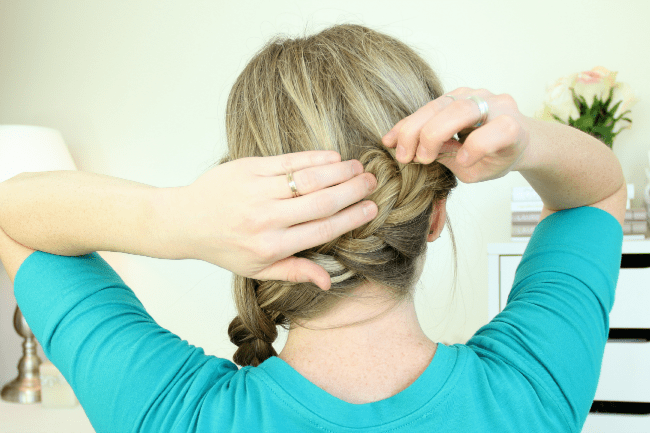 Step 11 / Tuck the tail under the first french braid and secure it with a hair pin. 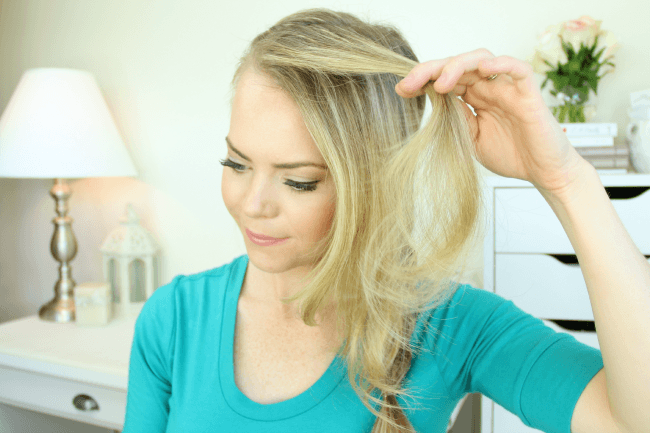 Step 12 / All done! 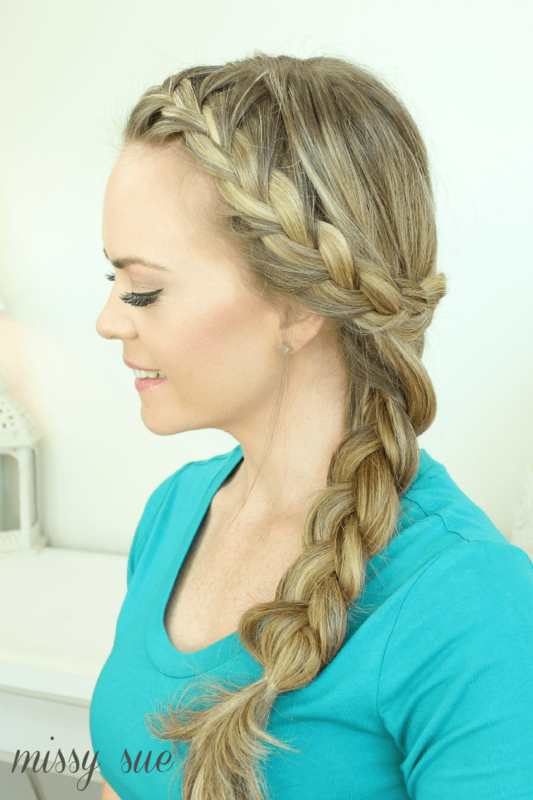 Finish with hairspray and loosen the braid, if desired, for a more casual look!